Senior Media Adviser, Citi Australia and New Zealand. Judy Hitchen has worked in financial services communications for three decades, in markets around the world. 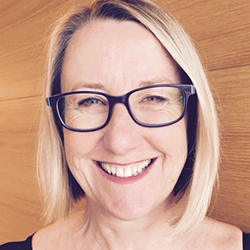 With a career that began at BT Australia in the 1980s in Australia, Judy then joined Hill and Knowlton in Sydney, Burson Marsteller in Asia and then Gavin Anderson in New York working with financial services companies and their capital markets clients. She returned to Corporate Communications with responsibility for external communications for Morgan Stanley’s institutional business in North America, and then returned to Australia to work with Citi in 2003.